The main focus of my work is on a project that aims to use a combination of art, media, and social science to cultivate ‘mass intellectuality’. What I mean by ‘mass intellectuality’ is the belief that everyone has great intellectual potential and that, for us to democratise society, everyone can become and needs to become an intellectual. By ‘intellectual’ I don’t mean a member of that often aloof stratum of academics sitting in their ‘ivory towers’ detached from most people’s realities. Indeed, it’s so sad that academics are too often like this and that the very word ‘intellectual’ has such pejorative connotations. No! By ‘intellectual’ I mean someone who can understand the world around them and can, therefore, actually begin to change it. If literacy is being able to read the word then what Henry Giroux calls ‘civic literacy’ is being able to read the world! This means learning to understand how our lives, as individuals, communities, and societies, are shaped by history and social forces, so that we can come together to change things for the benefit of all. Unfortunately, I agree with Henry Giroux when he says we currently have a crisis of civic illiteracy. My project is called ‘Capital City’. I aim to produce a TV drama series based on and around the trading floor of an investment bank. I want to tell the story of money (and the social relations behind it) today. But I won’t be writing the script myself. I’ll be conducting fieldwork research – speaking to, being with people working in and around finance, getting their stories, giving them the chance to speak and shape this script. I’m not just talking about white, male bankers, of course. I’m talking about the whole gamut of humanity that works within and around an investment bank. I hope to produce a script in collaboration with research participants, scriptwriters, and filmmakers. The other central component of the project is to produce a website alongside philosophers and social scientists that viewers of the drama can use to analyse the drama for themselves. The website will introduce viewers to a wide range of theories and concepts from a diverse range of ideological and disciplinary backgrounds. The point of the website is not to tell viewers what to think, but to give them the tools to think for themselves. The website says ‘If you’ve enjoyed this amazing drama then check out the way that people in the past and today have developed ways of thinking about the issues raised by it. Don’t worry! You can totally understand this stuff and here are the tools to help you’. The website will also facilitate online discussion and will encourage people to form local real life discussion groups. The ultimate goal of the project, then, is to cultivate this ‘mass intellectuality’. But there’s something more. I believe that we’re lacking a deep faith in ourselves today, as individuals and societies, that we actually can change anything. We have what Mark Fisher calls a ‘reflexive impotence’. And, of course, if we don’t believe we can change anything then that’s a self-fulfilling prophecy. 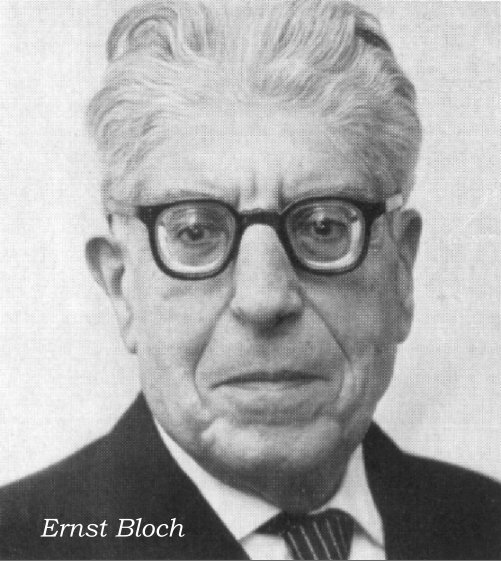 So, what my project needs to do, what any artists and social scientists committed to social justice need to do, is to contribute to cultivating our self-belief and what philosopher Ernst Bloch called ‘educated hope’. So, the central focus of this my first year working properly on this project is to develop a theoretical (but very practical) framework for democratising television. And I’m arguing that the starting point has to be a theory designed to cultivate mass intellectuality, self-belief, and educated hope. So, with all that said, Here is a paper I’ve produced that starts to offer such a theory. It was written for an academic audience, so it’s not an easy read. But I don’t mean by that that it’s intentionally full of jargon and obfuscations. I always try to write as clearly as possible. But there’s no getting away from the fact that the world is complex, and that ideas can be correspondingly complex. That’s fine! So, when I offer this gentle warning I offer it with full respect for your intellectual ability to understand what’s in this paper. And if there is something you don’t understand, or think I don’t understand, then please don’t keep it to yourself. Send me a comment or send me an email at agentofhistory dot com at gmail dot com. ← On the ‘migrant/refugee’ crisis: Part One – Does charity begin at home? Hi, sorry if this is not quite the right place to leave a general comment, not good at finding my way round sites! Just that if you are going to look at the story of money you really really need to read the book “Debt, The First 5000 years” by David Graeber. Forgive me if you are already familiar with his work! But this book is totally needed at the moment; the guy comes from an anthropological background, and his insights are left field if one thinks in terms of mainstream economics, of any flavour, but absolutely spot on! Especially it gives the lie to the “creation story” used by economist when they were inventing economics. Totally recommended! Thanks for this. Yes, I totally agree about the importance of David Graeber’s work. It’s a really incredibly work of scholarship and a hugely important one that, as you say, completely turns the founding myth of economics on its head and, indeed, the whole economic history of money i.e. debt preceeds money not the other way around. The only problem with recommending the book is its size and its occasional unwieldiness. If you’re in the UK or can access it, I would recommend to anyone starting with the series he did on BBC Radio 4 where he turned the book into 10 short radio programmes. Thank you, I may give that a watch myself! its a while since I read the book! ……dur, I mean a listen!….braincell not yet inserted this morning!